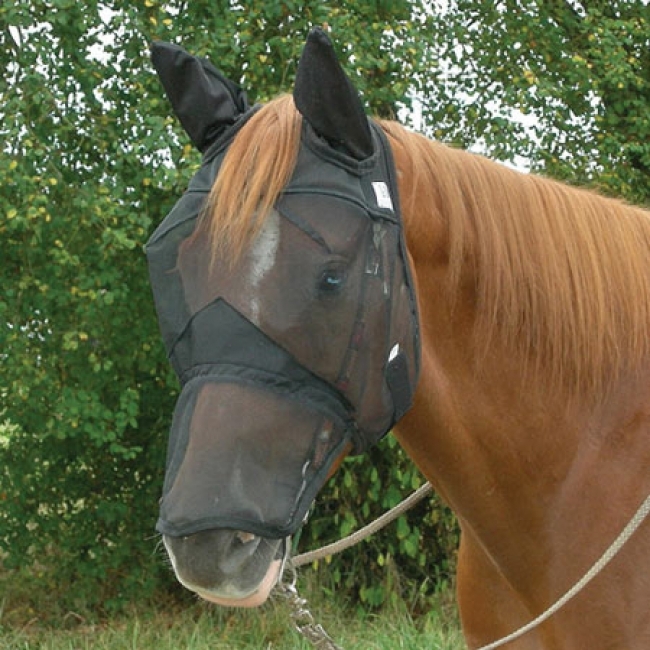 The Quiet-Ride Fly Mask features the same design as the pasture fly mask, but can also be worn over or under a bridle and will not impair the horse's vision while on the trails. Flymask features a patented three hole cap that eliminates forelock damage, and a unique design that keeps the mesh away from the eye area. These features provide your horse with a comfortable fit. With Cashel fly mask on while under saddle, your horse will be confident that flies will not bother their ears and face, eliminating insect-driven head tossing, giving you a much quieter and safer ride.